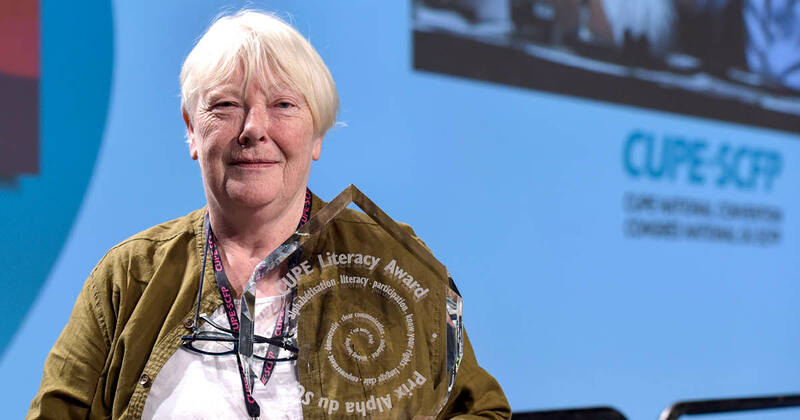 At each national convention, CUPE presents a national literacy award to celebrate the work and achievements of an activist who advocates for workplace literacy and clear language for union members. This year’s award was presented to Maria Moriarty from CUPE Local 1582 in Toronto. In her acceptance speech, Moriarty thanked CUPE for its longstanding dedication to workplace literacy and urged delegates to support literacy programs at the local level.